See www.knittingdaily.com/glossary for terms you don’t know. 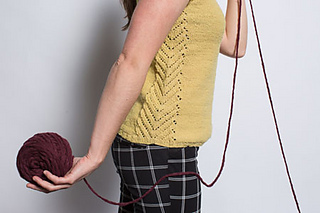 The body of this pullover is worked in the round from the lower edge to the underarm, then the front and back are worked separately back and forth. 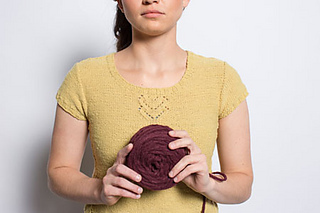 After the shoulders are joined, sleeve stitches are picked up and the sleeve cap is shaped using short-rows. The sleeve is then worked in the round from the top down.